The erstwhile glory of the Sher Shah Suri Gate stands much humbled and abated today. It is a testimony to the phenomenal rise of Sher Shah Suri - widely considered one of the ablest rulers of medieval India. But today it lies in ruins, threatening to collapse, completely at the mercy of the archaeologist’s scalpel, on the margins of historical documentation and sometimes at the bottom of a tourist’s travel list. 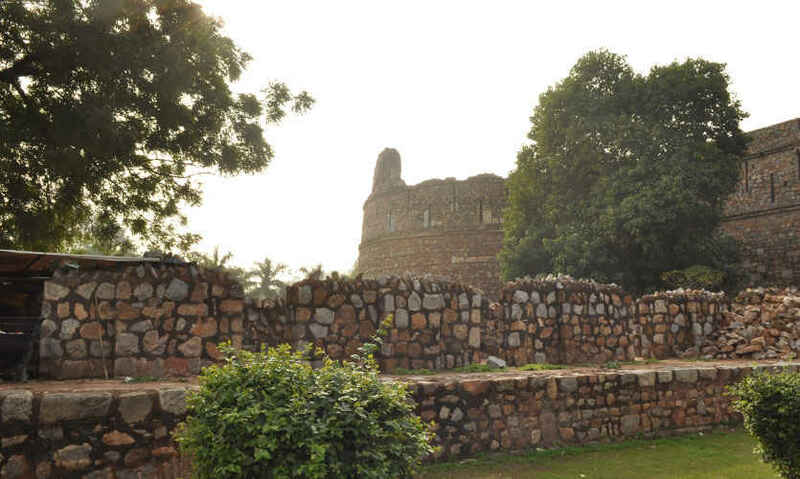 Should you ever decide to pay a visit, or homage, to these ruins of a glorious time in the past, it is easy to locate on Mathura Road, right opposite the grand remains of Purana Qila. You are, however, met with a huge forbidding lock on the iron-gate and a taciturn guard - rendered surlier by your unexpected intrusion. With a deep scowl and menacing tone, he tells you that the monument is shut down for renovation and tourists are not allowed to enter for fear of it collapsing altogether. Crestfallen, you gather all you powers of persuasion while the guard at the gate prepares to patronise. You bargain for a few minutes of rambling through the ruins and letting your camera lens have the time of its life. The guard at the gate gives in begrudgingly only when you ask for a copy of the order from the authorities. Chastised, he grants you five minutes. It&apos;s also known as the &apos;Lal Darwaza&apos; on account of the profuse use of red sandstone and red painted stone used for its construction and decoration. What remains today is the southern gate of what used to be Sher Shah Suri’s capitol Shergarh, built adjacent to the Yamuna plain. Shergarh was built on the ruins of Dinpanah, which was built by the Mughal ruler Humayun in 1533 AD. After his defeat at the hands of Sher Shah in 1540, the city was rebuilt by the new ruler and renamed as the &apos;den of a lion&apos; - in keeping with his own epithet of &apos;SHER Shah&apos;. It was at this time that the gate was added to demarcate the borders of his city. Over the next five years of Sher Shah’s rule, the gate is said to have been refurbished multiple times. According to Abbas Khan Sarwan’s &apos;Tarikh-i-Sher-Shah&apos; (Dated History of Sher Shah), markets soon sprung up along the gate for the benefit of tourists and travellers. 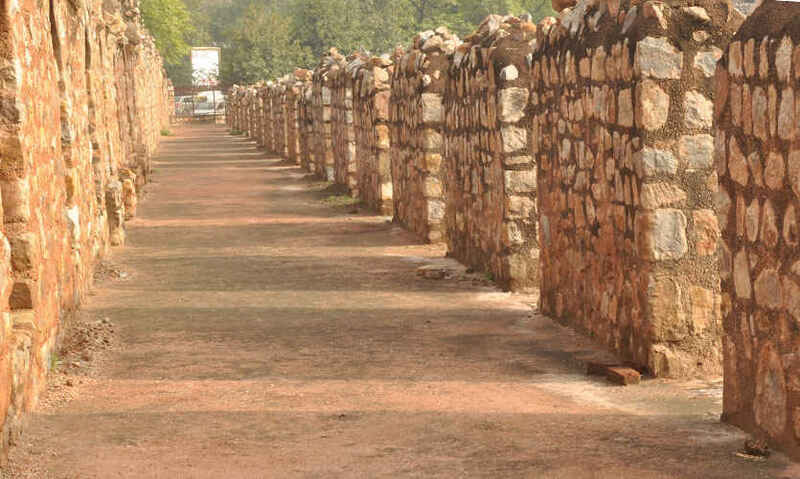 The remains of these can still be seen on the grassy platform along the road that leads to the gate. The intricate stone work of that time stands much effaced due to constant and multiple efforts at renovation and the passage of time. Sadly, yet inevitably, what one gets to see is a huge edifice of stone, painfully plastered at its joints. It has been pointed out that in contrast with the earlier forts and monuments of the time, the Sher Shah Suri Gate is comparatively much more adorned and intricate, with remains of cut and painted stone work visible till today. The gate rises above the high bastions and moats on both sides. To the layman’s eyes at least, the Gate bears striking similarities with the Bada Darwaza - the main entrance of the Purana Qila lying on the western side and even the Talaqi Darwaza - on the northern side of Purana Qila, which has been locked shut ever since Sher Shah left for the fatal battle of Kalinjar in 1945, never to return. Adjacent to the gate lies the Khairul Manzil Masjid, the &apos;most blessed of homes&apos;, almost like an organic part of the gate itself. But it was constructed much later at the behest of Akbar’s wet-nurse Maham Anga, with the help of cousin Shihab-ud-din. A humble structure still welcoming namazis early in the morning and under the care of a guard full of friendly chatter and historically inaccurate information, this structure functioned as a mosque and madrasa in its day. When you stroll out of these relics of the past, the calm and quiet hits you suddenly. You realise that these edifices of mere stone have no memories of the past or visions of the future. They remain standing, generation after generation while we map our histories through them. 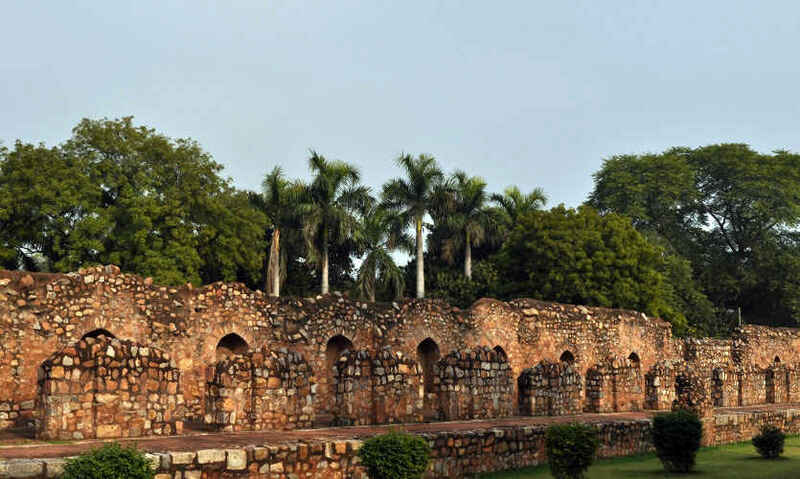 The Purana Qila Complex, Khairul Manzil and the Sher Shah Suri Gate together represent the joint, overlapping city-building of three great emperors - Humayun, Sher Shah and Akbar. It is these edifices that will eventually crumble while these names will live on; but it is these very edifices that bear on their being, the marks of every age and emperor. For a meandering stroll through the ruins and ravaged splendour of a bygone era, pick up your camera and head on over!